Niels Petersen was at IILJ from 2006-2007 as a Visiting Doctoral Researcher. After finishing his PhD, he joined the Max Planck Institute for Research on Collective Goods in Bonn as a Postdoctoral Research Fellow in 2007. During the academic year 2012/13, he returned to the NYU School of Law as a Hauser Research Scholar and Emile Noel Fellow. In 2014, he finished his Habilitation at the University of Bonn. 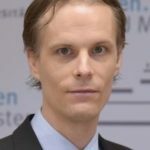 Since February 2015, Niels is a Professor of Public Law, International Law, and EU Law at the University of Münster. His most important publication is a monograph under the title Proportionality and Judicial Activism that will be published by Cambridge University Press. Furthermore, he has published several articles in leading international journals, such as the European Journal of International Law, the International Journal of Constitutional Law or the American Journal of Comparative Law.